Heni Rachmawati, Leonie Beljaars, Catharina R-Smit, Werner I.Hagens, Dirk F. Meijer, Klaas Poelstra. Pharmacokinetic and Biodistribution profile of recombinant human interleukin-10 in rats with extensive liver fibrosis. Pharmaceutical research, 2004, 21:2072-2078. Heni Rachmawati, Leonie Beljaars, Catharina R-Smit, Hester I.Bakker, Dirk F.Meijer, Klaas Poelstra. A study of the effects of interleukin-10 in anti-Thy 1-induced glomerulonephritis in rats. International Journal of Pharmacocology, 2009, 5(6), 346-353. Heni Rachmawati, Leonie Beljaars, Catharina R-Smit, Hester I.Bakker, Dirk F.Meijer, Klaas Poelstra. A study of the effects of interleukin-10 in anti-Thy 1-induced glomerusclerosis in rats. Nephrology, 2005, 10 (Supll.). Heni Rachmawati, Leonie Beljaars, Catharina R-Smit, Hester I.Bakker, Dirk F.Meijer, Klaas Poelstra. IL-10 modified with mannose 6-phosphate yields a liver-selective cytokine. Drug Metab.Dispos., 2007, 35(5):814-21. Sukmadjaja Asyarie, Faizatun, Heni Rachmawati. In vitro and in vivo evaluation of solid dispersion system of gliclazide:PEG 6000. PDA Journal of Pharmaceutical Science and Technology, 2007, 61(5) p.400-410. Debbie S. Retnoningrum, Ratih A. Ningrum, Yohanes N. Kurniawan, Ana Indrayati and Heni Rachmawati. Construction of synthetic open reading frame encoding human interferon alpha 2b for high expression in E.coli and characterization of its gene product. Journal of Biotechnology, 2010, 145, 193-198. H. Rachmawati, L. Beljaars, C. Reker-Smit, H. I. Bakker, A. M. van Loenen-Weemaes, M. N. Lub-De Hooge, and K. Poelstra. Intravenous Administration of Recombinant Human IL-10 Suppresses the Development of Anti–Thy 1–Induced Glomerulosclerosis in Rats. PDA Journal of Pharmaceutical Science and Technology, 2011, 65(2), 116-130. Tjandrawati Mozef, Andreanus A.Soemardji, Elin Y.Sukandar, Heni Rachmawati. Potency of flavonoid from sukun (Artocarpus altilis) in inhibition of platelet aggregation in hyperaggregative subjects. Medicinal plants-International journal of Phytomedicines and Related Industries, 2011, 3(4), 307-310. Heni Rachmawati, Diky Mudhakir, Janti Kusuma. Combination of inulin-shellac as a unique coating formulation for design of colonic delivery dosage form of ibuprofen. International Journal of Research in Pharmaceutical Sciences, 2011, 2(4), 1-7. Ratih Asmana Ningrum, Desi Eria Rahmatika, Debbie Sofie Retnoningrum, AangHanafiah Wangsaatmadja, Yeyet Cahyati Sumirtapuraand Heni Rachmawati. Development of Novel Interferon Alpha2b Muteins and Study the Pharmacokinetic and Biodistribution Profiles in Animal Model. J Biomed Scie Eng., 2012, 5, 104-112. Heni Rachmawati, Prima Liranti Febrina, Ratih Asmana Ningrum, Debbie Sofie retnoningrum. The Influence of Polyethylene Glycol Structure on the Conjugation of Recombinant Human Interferon α2b Overproduced Using Synthetic Gene in Eschericia coli. Int J Res Pharm Scie, 2012, 3(2), p228-233. 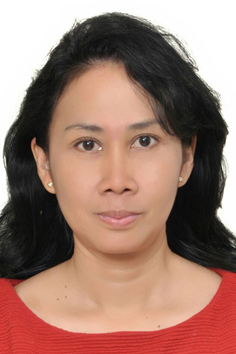 Heni Rachmawati, Loay Al Shaal, rainer Mueller, Cornelia M.Keck, Development of nanocrystal: physical aspects. Journal of Pharmaceutical Sciences, 102(1), 2013, 204-214. Raphael Aswin Susilo, Yeyet Cahyati, Heni Rachmawati, Sasanti tarini, Debbie Retnoningrum, Leonardus Kardono. Over Production of Human Recombinant Interferon α-2b: Scaling up Process. Journal of Applied Sciences, 2012, 12(15), 1613-1617. Heni Rachmawati, Angelia Merika, Ratih Asmana Ningrum, Kusnandar Anggadiredja, and Debbie S.Retnoningrum. Evaluation of adverse effects of mutein forms of recombinant human interferon alpha-2B in female Swiss Webster mice. Biomed Researach International, 2013, available online. Heni Rachmawati. Curcumin nanoforms promise better therapeutic values, review. International Journal of Research in Pharmaceutical Sciences, 2013, 4(2), 211-220. Heni Rachmawati, Citra Ariani Edityaningrum, Rachmat Mauluddin. Molecular inclusion complex of curcumin-β-cyclodextrin nanoparticle to enhance curcumin skin permeability from hydrophilic matrix gel. American Association of Pharmaceutical Sciences PharmSciTech, 2013, 14(4), 1303-12 . (IF = 1.906). Anggakusuma, Colpitts CC, Schang LM, Rachmawati H, Frentzen A, Pfaender S, Behrendt P, Brown RJ, Bankwitz D, Steinmann J, Ott M, Meuleman P, Rice CM, Ploss A, Pietschmann T, Steinmann E. Turmeric curcumin inhibits entry of all hepatitis C virus genotypes into human liver cells. GUT, 2014, 63(7),1137-49. Heni Rachmawati, Krishnaveni Apparavoo, Anatasia, Kusnandar Anggadiredja. Study the potency of colonic pellet containing ibuprofen on the suppression of gastroduodenal ulceration in male Wistar rats. International Journal of Research in Pharmaceutical Sciences, 2013, 4(4), 523-527. Heni Rachmawati Ferry Damanhuri, Irfan Agustian Darfiansyah, Debbie Retnoningrum. Pegylation of recombinant mutein streptokinase from overproduction in Eschericia coli BL21 and study on the fibrinolytic activity in vitro. International Journal of Pharmacy and Pharmaceutical Sciences, 2014, 6(1), 137-141. Heni Rachmawati, Dewa Ken Budiputra, Rachmat Mauludin. Curcumin nanoemulsion for transdermal application: formulation and evaluation. Drug Development and Industrial Pharmacy, 2015, 41(4), 560-566. Heni Rachmawati and Bernard Manuel Haryadi. The Influence of Polymer Structure on the Physical Characteristic of Intraoral Film Containing BSA-loaded Nanoemulsion. Journal of Nanomedicine and Nanotechnology, 2014, 5(1), 1-6. Heni Rachmawati, Chew Wei Yee, Annisa Rahma. Formulation of tablet containing curcumin nanoemulsion. International Journal of Pharmacy and Pharmaceutical Sciences, 2014, 6(3), 115-120. Gabriela Chrysti and Heni Rachmawati. Development of a buoyancy-based multiple unit gastro retentive system containing metformin hydrochloride to improve anti diabetic activity. International Journal of Innovative Drug Discovery, 2014, 4(2),107-114. Heni Rachmawati, Anatasia, I Ketut Adnyana, Kusnandar Anggadiredja. The Dual Positive Actions of Colonic Release of Ibuprofen in TNBS-Induced Colitis Wistar Rats. J Biomedical Science and Engineering, 2014, 7, 573-583. Heni Rachmawati, Lisna Meylina, Annisa Rahma, Yeyet Cahyati S. Size-Dependent of Oil Droplet of Curcumin Nanoemulsion on theIn Vivo Release Kinetic of Curcumin After Oral and Intravenous Administrations in Animal Model. Advanced Science Engineering and Medicine, 2014, 6(9), 959-964. Raymond Rtjandrawinata, Jessica Trisina, Puji Rahayu, Lorentius Agung Prasetya, Aang Hanafiah, Heni Rachmawati. Bioactive protein fraction DLBS1033 containing lumbrokinase isolated from Lumbricus rubellus: ex vivo, in vivo, and pharmaceutic studies. Drug design, development and therapy, 2014, 8, 1585-1593. Heni Rachmawati, Bernard Manuel Haryadi, Kusnandar Anggadiredja, Veinardi Suendo. Intraoral Film Containing Insulin-Phospholipid Microemulsion: Formulation and In Vivo Hypoglycemic Activity Study. American Association of Pharmaceutical Scientists PharmTech, 2015, 16(3), 692-703. Diky Mudhakir, Caroline Wibisono, Heni Rachmawati. Encapsulation of risperidone into chitosan-based nanocarrier via ionic binding interaction. Procedia Chemistry, 2014,13, 92 – 100. Chandra Risdian, Muhamad Nasir, Annisa Rahma, Heni Rachmawati. The influence of process and formula on physical properties and the release profile of PVA/BSA nanofiber formed by electrospinning technique. J Nano Research, 2015, 31, 103-116. Annisa Rahma, Muhammad Miftahul Munir, Khairurrijal, and Heni Rachmawati. The Influence of Non-Ionic Surfactant on The Physical Characteristics of Curcumin-Loaded Nanofiber Manufactured by Electrospinning Method. Advanced Materials Research, 2015, 1112, 429-432. Gabriela Christya, Raymond Rubianto Tjandrawinatab, Heni Rachmawati. Tabletting Process of Pellets Containing Bioactive Fraction DLBS1033F Isolated from 4 Lumbricus rubellus: Challenge and Strategy. Biological and Pharmaceutical Bulletin, 2015, 38(12),1843-49. Wina Maryana, Annisa Rahma and Diky Mudhakir,Heni Rachmawati. Phytosome Containing Silymarin for Oral Administration: formulation and physical evaluation. J Biomimetics, Biomaterials and Biomedical Engineering, 2015, 25:, 54-68. Heni Rachmawati, Evi Sulastri, Maria Immaculata Iwo, Dewi Safitri, Annisa Rahma. Bromelain Encapsulated in Self Assembly Nanoemulsion Exhibits Better Debridement Effect in Animal Model of Burned Skin. J Nano Research, 2016, 40, 158-166. Heni Rachmawati, Adhitya Jessica, Yeyet Cahyati Sumirtapura, Debbie Sofie Retnoningrum, Amirah Adlia, Ratih Asmana Ningrum. Removing a Cystein Group On Interferon Alpha 2b at Position 2 and 99 does Not Diminish Antitumor Activity of the Protein, Even Better. Scientia Pharmaceutica, 2016, 84, 113-130. Heni Rachmawati, Irene Surya Soraya, Neng Fisheri Kurniati, Annisa Rahma. In Vitro Study on Antihypertensive and Antihypercholesterolemic Effects of a Curcumin Nanoemulsion. Scientia Pharmaceutica, 2016, 84, 131-140. Heni Rachmawati, Yulia L. Yanda, Annisa Rahma, Nobuyuki Mase. Curcumin-Loaded PLA Nanoparticles: Formulation and Physical Evaluation. Scientia Pharmaceutica, 2016, 84, 191-202. Wangsa Tirta Ismaya, Yunita, Sophi Damayanti, Caroline Wijaya, Raymond R. Tjandrawinata, Debbie Sofie Retnoningrum, Heni Rachmawati. In Silico Study to Develop a Lectin-Like Protein from Mushroom Agaricus bisporus for Pharmaceutical Application. Scientia Pharmaceutica, 2016, 84, 203-217. Wangsa Ismaya, Ph.D., Yunita Yunita, Alida Efthyani, Xuelei Lai, Debbie S Retnoningrum, Heni Rachmawati, Bauke W Dijkstra, Raymond R Tjandrawinata. A novel immune-tolerable and permeable lectin-like protein from mushroom Agaricus bisporus. Biochemical and Biophysical Research Communications, 2016, 472(4), 1090-3. Rachmawati H, Safitri D, Pradana AT, Adnyana IK. TPGS-Stabilized Curcumin Nanoparticles Exhibit Superior Effect on Carrageenan-Induced Inflammation in Wistar Rat. Pharmaceutics, 2016, 16;8(3). Heni Rachmawati, Annisa Rahma, Loaye Al Shaal, Rainer H. Müller, and Cornelia M. Keck. Destabilization Mechanism of Ionic Surfactant on Curcumin Nanocrystal against Electrolytes. Scientia Pharmaceutica, 2016, 84, 685–693. Heni Rachmawati, I Ketut Adnyana, Sukmadjaja Asyarie. Uji efek hipoglikemik sistem dispersi padat gliklazid:PEG 6000 pada tikus yang diinduksi aloksan. Artocarpus, 2006, 6, 85-90. Sukmadjaja Asyarie, Pricilia, Heni Rachmawati. Formula tablet kaptopril lepas lambat dengan matriks pautan silang alginate. Majalah Farmasi Indonesia, 2007, 18(1), 34-39. Heni Rachmawati, Betty Wert, Catharina Smith, DKF Meijer, Klaas Poelstra. Development of a mannose 6-phosphate-modified human serum albumin construct: A cell-specific carrier to hepatic stellate cells. Journal Acta Pharmaceutica Indonesia, 2007, 32(2). Heni Rachmawati, Sukmadjaja Asyarie, Desi Eria Rahmatika. Pengaruh penambahan campuran chremophor RH 40 dan PEG 6000 terhadap disolusi ketoprofen. Acta Pharmaceutica Indonesia, 2009. 5. Yeyet Cahyati, Arini Setiawati, Jessie S.Pamudji, Heni Rachmawati. Dissolution test of various low-dose acetylsalicylic acid preparations marketed in Indonesia. Medical Journal of Indonesia, 2009, 18(3),161-171. Heni Rachmawati, Fiana Ramdani, Kusnandar Anggadiredja, Daryono Hadi S. Uji Farmakokinetik pellet ibuprofen untuk pelepasan di kolon pada tikus wistar normal. Medicinus, 2010, 23(2), 30-34. Heni Rachmawati, Dita Herawati, Sasanti Tarini. Preparation and characterization of folic acid-encapsulated solid lipid nanoparticle. Jurnal Nanosains dan Nanoteknologi, 2010, 2(2), 37-40. Heni Rachmawati, Tjandrawati Mozef, Shafiqah Adam. Influence of Artocarpus communis leave extract on the physical characteristic of pellet. Journal of Mathematics and Sciences, 2010, 15(3). Ratih Asmana Ningrum, Debbie Sofie Retnoningrum, Yeyet Cahyati, Heni Rachmawati. Optimization of Human Interferon α2b Soluble Protein Overproduction and Primary Recovery of Its Inclusion Bodies. Microbiology Indonesia, 2011, 5(1). Heni Rahmawati, Estherina Juliana Marbun, Jessie S.Pamudji. Pengembangan formula tablet hancur cepat dari kompleks inklusi ketoprofen dalam beta siklodekstrin. Majalah Farmasi Indonesia, 2011, 22(3), 229-237. Heni Rachmawati, R.Leonny Y, Irda Fidrianny, I Ketut Adnyana. Hepatoprotective activity of saponin fraction of oyong seed flesh and its combination against CCl4-induced chronic liver damage in male Wistar rat. Indonesian journal of Pharmacy 2013, 24(3), 177-185. Magdalena Yuni K, Rachmat Mauludin, Heni Rachmawati. Influence of stabilizers in meloxicam nanocrystal formation and its application on suspension oral dosage form. Indonesian Journal of Pharmacy, 2013, 24(4), 266-273. Heni Rachmawati, Lia Agustina, Ratih A. Ningrum, Debbie S. Development and Characterization of Polyclonal Antibody of Recombinant Human Interferon α2b in New Zealand White Rabbit. Indonesian Journal of Pharmacy. 2014, 25(3), 132-137. Heni Rachmawati, Klaas Poelstra, Leonie Beljaars, Cytokine and Modified-Cytokine as therapeutic agents: Present State and Future Perspectives, in Book: Recent Research Development in Immunology, Publisher: Research Signpost, Kerala, India, 2004, 6:191-214, ISBN: 81-7736-206-2. Heni Rachmawati, The Design of a liver-selective form of interleukin-10: a new strategy for the treatment of liver fibrosis, dissertation, Publisher: University of Groningen, Groningen, The Netherlands, June 2005, ISBN: 90-367-2272-1. Bingfeng Sun, Heni Rachmawati, Yutao Liu, Jing Zhao, Si-Shen Feng, Antibody-Conjugated Nanoparticles of Biodegradable Polymers for Targeted Drug Delivery: In book: Bionanotechnology II: Global Prospects by E. Reisner David, CRC Press, August 2010, ISSBN 9781439804636. Heni Rachmawati, Adriana Mattos-Pinto, Catharina Reker-Smit, Klaas Poelstra and Leonie Beljaars, Modification of interleukin-10 with mannose 6-phosphate groups yields a liver-specific cytokine with antifibrotic effects in bile-duct ligated rats” in the book “Pharmacology”, publisher Intech, Croatia, ISBN 979-953-307-482-4, March 2012. Heni Rachmawati </SPAN><SPAN style=”FONT-SIZE: 14px”>, Leonie Beljaars, Catharina R-Smit, Werner I.Hagens, Dirk F. Meijer, Klaas Poelstra, Pharmacokinetic and Biodistribution profile of recombinant human interleukin-10 in rats with extensive liver fibrosis, European Conference on Drug Delivery and Pharmaceutical Technology, Seville, Spain, May, 2004. Heni Rachmawati </SPAN><SPAN style=”FONT-SIZE: 14px”>, Leonie Beljaars, Catharina R-Smit, Hester I.Bakker, Dirk F. Meijer, Klaas Poelstra, Chemically modified interleukin-10 with a liver-selective ligand: a new strategy for the treatment of liver fibrosis with a therapeutic cytokine, Keystone symposia: Cytokine, Disease, and Therapeutic Intervention, Santa Fe-New Mexico, USA, February, 2005. Heni Rachmawati </SPAN><SPAN style=”FONT-SIZE: 14px”>, Leonie Beljaars, Catharina R-Smit, Hester I.Bakker, Dirk F. Meijer, Klaas Poelstra, Chemically Modification of interleukin-10 with mannose 6-phosphate yields a liver-selective cytokine with antifibrosis activities in rats: 40th Annual Meeting of The European Association for The Study of The Liver, Paris, France, April, 2005. Heni Rachmawati, Leonie Beljaars, Catharina R-Smit, Hester I.Bakker, Dirk F.Meijer, Klaas Poelstra, A study of the effects of interleukin-10 in anti-Thy 1-induced glomerusclerosis in rats, 3rd World Congress of Nephrology, Singapore, June, 2005. Heni Rachmawati, Leonie Beljaars, Catharina R-Smit, Hester I.Bakker, Dirk F.Meijer, Klaas Poelstra, A study of the effects of interleukin-10 in anti-Thy 1-induced glomerulonephritis in rats, Renal Disease in Minority Populations and Developing Nations , Singapore, July, 2005. Heni Rachmawati, Leonie Beljaars, Catharina R-Smit, Hester I.Bakker, Dirk F.Meijer, Klaas Poelstra, A study of the effects of interleukin-10 in anti-Thy 1-induced glomerusclerosis in rats, Renal Disease in Minority Populations and Developing Nations , Singapore, July, 2005. Tjandrawati Mozef, Andreanus A. Soemardji, Elin Y. Sukandar, Heni Rachmawati, Puspa D. Lotulung, Iqbal Mustapha, Jan A.A.M. Kamps and G. Molema, Effect of Some Flavonoids Isolated from the Leaves of Artocarpus altilis on Inflammatory Gene Expression in Endothelial Cells, Bandung International Conference on Medicinal Chemistry 2009 (ICMC2009) Bandung-Indonesia, August 6-8, 2009. Tjandrawati Mozef, Andreanus A.Soemardjia, Elin Y. Sukandara, Heni Rachmawati, Yana M. Syah, Iqbal Mustapha, Jan A.A.M.Kamps and G. Molema, 2-Geranyl-2′,3,4,4′Tetrahydroxydihydrochalcone Inhibits Expression Of Intracellular Adhesion Molecules (ICAM-1) And Vascular Cell Adhesion Molecules (VCAM-1) In Human Aortic Endothelial Cells But Not In Human Umbilical Vein Endothelial Cells, 2nd International Seminar and Workshop on Advance Molecular Biology (ISAMB2009), Padang-Indonesia, August 18-20, 2009. Heni Rachmawati, Loaye Al Shaal, Cornelia M Keck, Development of Curcumin nanocrystals for oral bioavailability enhancement:Preparation and characterization, Jahrestagung der Deutschen Pharmazeutischen Gesellschaft e.V., Jena, Germany, 28 September -1 October 2009. Heni Rachmawati, Loaye Al Shaal, Cornelia M Keck, Development of Curcumin nanocrystals for oral bioavailability enhancement:Electrolyte challenge study, Conference in Advanced diagnostics and drug delivery at the nanoscale: state of the art and possible applications to orphan diseases, Triest-Italy, 13-15 October 2009. Tjandrawati Mozef, Andreanus Soemardj, Elin Yulinah , Heni Rachmawati, Jan A.A. Kamp, G.Moelema, 2-geranyl-2’-3,4,4’-tetrahydroxychalcone from the Leaves of Artocarpus altilis inhibits VCAM-1 and ICAM-1 Expression Mediated by Decreasing Reactive Oxygen Species Level in Human Aortic Endothelial Cells, Symposium on networking and technology transfer, Bangkok, Thailand, 7-12 June 2010. Heni Rachmawati, Janti Kusumaningrum, Diky Mudhakir. Ibuprofen pellet coated with combination of inulin-shellac yielded a microbial-dependent release, International Conference on Mathematics and Natural Sciences, Bandung, 23-25 November 2010. Heni Rachmawati, Reni, Catur Riani, Kusnandar Anggadiredja, Development of recombinant HbSAg-loaded nanoemulsion for oral delivery of hepatitis b vaccine, Trend in nanomaterials; from Biomacromolecules to inorganics, Bandung, 2011. Heni Rachmawati, Dewi Safitri, I Ketut Adnyana, Study the potency of nanocurcumin in suppressing chronic ulcerative colitis in animal model, The 4th Nanoscience and Nanotechnology Symposium, Bali, 2011. Heni Rachmawati, Dewi Safitri, Study the molecular mechanism of nanocurcumin in suppressing chronic colitis in animal model, International Conference on Biomedical Sciences, Bandung, 2012. Ratih A Ningrum, Debbie S Retnoningrum, Yeyet Cahyati S, Heni Rachmawati, The influence of amino acid substitutions on the biological activity of recombinant human interferon alpha 2b using HepG2 cell line, International Conference on Biomedical Sciences, Bandung, 2012. Heni Rachmawati, Aditya Trias Pradana, Rachmat Mauluddin, Bioavailability absolute and biodistribution studies of curcumin nanocrystal, Asian Federation of Pharmaceutical Association, Bali, 13-16 September 2012. Nelly Setiawaty, Heni Rachmawati, Formulation and characterization of vitamin A nanoemulsion, International Seminar on Natural Product Medicines, Poster, Bandung, Indonesia, November 2012. Caroline Wibisono, Diky Mudhakir, Heni Rachmawati, Encapsulation of risperidone into chitosan based nanocarrier via ionic binding interaction, International Seminar on Natural Product Medicines, Poster, Bandung, Indonesia, November 2012. Dewa Ken Budiputra, Rachmat Mauludin, Heni Rachmawati, Development of curcumin-encapsulated nanoemulsion and characterization, International Seminar on Natural Product Medicines, Poster, Bandung, Indonesia, November 2012. Bernard Manual Haryadi, Heni Rachmawati, The use of chitosan as a polymer-based matrix for intraoral film containing protein-loaded nanoemulsion, International Seminar on Natural Product Medicines, Oral, Bandung, Indonesia, November 2012. Mesulam Esther, Kusnandar Anggadiredja, Heni Rachmawati, Study the antiinflammation activity of colonic release pellet containing ibuprofen on the joint inflammation model in female wistar rat, International Seminar on Natural Product Medicines, Poster, Bandung, Indonesia, November 2012. Heni Rachmawati, Tan Paramita, I Ketut Adnyana, Catur Riani, Debbie Retnoningrum, Amino acid substitution on recombinant human interferon alpha 2b results in better efficacy of the protein in CCl4-induced liver damage Wistar rat, Asian Conference on Clinical Pharmacy 13th, Vietnam, September 2013. 5th FIP Pharmaceutical Sciences World Congress Melbourne, Australia 13-16 April 2014. 2nd USA International Conference on Surfaces, Coatings and Nanostructured Materials (NANOSMAT-USA), Texas (USA) 19-22 May 2014.
International Seminar on Nanomedicine, Sydney, Australia, July 2015. Forum Life Science 2015 di Technical University of Munchen, Germany, 11-12 Maret 2015.
International Conference on Nanotechnology in Medicine (NANOMED) Manchester Conference Centre in Manchester, UK 23-25 November 2015. 14th International Nanomedicine & Drug Delivery Symposium (nanoDDS’16). The Johns Hopkins University, Baltimore, Maryland, September 16-18, 2016.
International Conference on Nanotechnology in Medicine, Warsawa Poland, 7-9 November 2016. Heni Rachmawati, Leonie Beljaars, Catharina R-Smit, Hester I.Bakker, Dirk F.Meijer, Klaas Poelstra, Synthesis and characterization of mannose 6-phosphate-modified human serum albumin (M6P-HSA), a cell specific carrier to hepatic stellate cells, Pharmaceutical research Seminar Nasional, Bandung, Indonesia, September 2002. Heni Rachmawati, Research methodology in pharmaceutics, Competitive grant A1, Department of pharmacy, University of Islamic Indonesia, Yogyakarta, March 2006. Heni Rachmawati, Development strategy of protein formulation, in short course: Recent development and future perspective of recombinant protein in industry”, School of Pharmacy ITB, 2005. Heni Rachmawati, Recombinant protein in drug delivery for cancer therapy, in short course: Recent development and future perspective of recombinant protein in industry”, School of Pharmacy ITB, 2005. Heni Rachmawati, Recombinant protein for the treatment of infectious disease: HCV and HIV, in short course: Recent development and future perspective of recombinant protein in industry”, School of Pharmacy ITB, 2005. Heni Rachmawati, Nanomedicine in drug delivery system and its prospective development in Indonesia, Institut Teknologi Bandung, Indonesia, 2005. Heni Rachmawati, The incidence of hepatitis virus infection in Indonesia and the strategy to combat the disease, International Symposium on Characterization and Management of Viral Disease in The Developing World, Faisalabad – Pakistan, November 2006. Heni Rachmawati, The prospect of recombinant proteins in therapy, The 5th Asia Pacific Pharmaceutical Symposium, Bandung, 2006. Heni Rachmawati, External triggers in drug delivery system, The 9th conference in instrumentation and control, Bandung Institute of Technology, Indonesia, February 2007. Heni Rachmawati, Future perspective of nanotechnological application in pharmaceuticals, Nanotechnology State of the Art in Health Care and Pharmaceuticals, Jakarta-Indonesia, August, 2007. Heni Rachmawati, Molecular pathogenesis of hepatitis virus infection and cellular targeting of drug for the treatment, The 1st international symposium on molecular pathogeneses: “Recent advantages on molecular pathogenesis and application to pharmaceutical product development, Bandung-Indonesia, January 2008. Heni Rachmawati, Recombinant Cytokines and their pharmaceutical uses, Workshop: Synthetic genes and their use for various applications, Bandung-Indonesia, January 2008. Heni Rachmawati, Nanoencapsulation of protein for oral delivery purpose, International workshop on nanomedicine, Islamabad-Pakistan, March 2008. Heni Rachmawati, 2nd International Conference on Advanced Materials and Applications Nanotechnology, Talk show, Jakarta, 12 November 2009. Heni Rachmawati, Pengembangan nanofarmasetika, Kursus sehari PT Phapros, Semarang 8 Desember 2010. Heni Rachmawati, Pengembangan protein rekombinan sebagai kandidat terapi, Akademi Ilmu Pengetahuan Indonesia, Jakarta, 2010. Heni Rachmawati, Peluang aplikasi nanoteknologi bagi pengembangan produk farmasi, Workshop on empowering collaboration with industry, IMHERE SF ITB, Bandung, 2010. 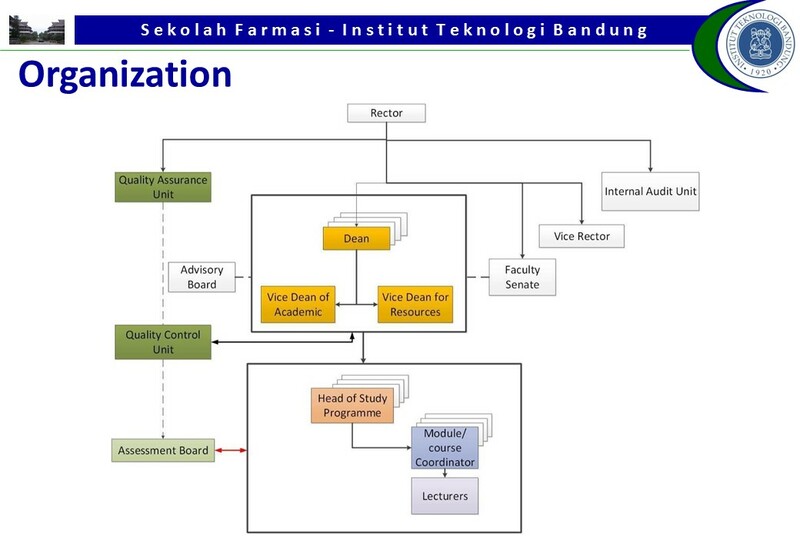 Heni Rachmawati, The application of nanotechnology in pharmacy and medic, BPPT, 11 July 2011. Heni Rachmawati, Krishnaveni Apparavoo, Kusnandar Anggadiredja, Study the potency of colonic pellet containing ibuprofen on the suppression of ulceration in Wistar rat, 5th Conference of Asian Association of School of Pharmacy, Bandung, 2011. Heni Rachmawati, Aplikasi nanoteknologi dalam pengembangan produk farmasi, Pharmacy Fair 2011, Universitas Pancasila, Jakarta, 2011. Heni Rachmawati, Update in Pharmaceutical Technology, Rapat kerja PT Indonesia Farma, February Cikarang, 2012. Heni Rachmawati, Superiority of curcumin in the nanocrystal form in suppressing inflammatory disorders, Indonesian-American Kavli Frontier of Science, Solo, July 2012. Nanomaterials in agriculture, Balai Pertanahan Bogor, juni 2012. Drug nanocrystal and nanocarrier: novel strategy to improve drug efficacy, Pelatihan dan Seminar Nasional Nanoteknologi, Universitas Setiabudi, Solo, Juni 2012. Heni Rachmawati, Development of Nanoemulsion to Improve Active Compound Stability and Solubility, 1st International on Nutraceutical and Cosmeceuticals, KL, Malaysia, 22-23 October 2012. Heni Rachmawati, Modernisasi obat herbal melalui pengembangan nanoteknologi, Seminar dan Kompetisi Kefarmasian Nasional, Unibraw, Malang, 4 November 2012. Heni Rachmawati, Potential benefit of nanotechnology to improve therapeutic value of herbal medicines, International Seminar on Natural Product Medicines, Bandung, Indonesia, November 2012. Pengembangan system pembawa obat berbasis teknologi nano untuk penghantaran obat. Universitas Islam Negri Jakarta, 24 April 2013. Nanoemulsion as a smart carrier for bioactive compounds, Biopolymeric micro/nanoparticles for drug and protein delivery, Faculty of Pharmacy, University of Pancasila, 26 October 2013, Jakarta, Indonesia. Protein formulation, in Prospect and challenges on recombinant therapeutic protein, 29 October 2013, Research Center for Biotechnology LIPI, Cibinong Indonesia. 4th International Symposium for promotion of interdiciplinary domain research, Shizuoka University, Japan, 1-2 December 2014. Workshop Kefarmasian Eksplorasi Potensi Bahan Alam dalam Riset dan Teknologi, Sekolah Tinggi Ilmu Farmasi Makasar dan Universitas Hasanudin, Makasar, Februari 2015. Seminar Nasional Kefarmasian, Development of drug and dosage form. Fakultas Kedokteran dan Ilmu Kesehatan, Universitas Islam Nasional Alaudin Makasar, Makasar, 6-7 Juni 2015. Seminar Nasional Kefarmasian, Universitas Lambung Mangkurat, Kalimantan Selatan, 19 September 2015.
International Conference on Health Sciences, Nanotechnology-based Approach in Drug Delivery and Formulation, Jogjakarta, 28-29 October 2016. The 2nd Materials Research Society of Indonesia Meeting, The Potency of Xylan Isolated from Pineapple Stem Waste as a Biomaterial for Colonic Targeted Drug Delivery, Bandung, 24-26 October 2016. Young investigator award, Department of Health and Human Services, National Institutes of Health USA, National Institute of Allergy and Infectious Diseases, February 2005. EASL Young Investigator’s Bursaries (full Roche Unrestricted Education Grant), The European Association for the Study of the Liver, April 2005.
International society of Nephrology (ISN), June, 2005. Travel grant from Ministry of Education, Indonesia, 2006. Travel grant from PT Biofarma, Indonesia, 2006. Travel grant from COMSTECH-OIC, Pakistan, 2008. Travel grant from ICS-UNIDO (International Center for Science and High Technology – United Nations Industrial Development Organization), Italy 2009. Best Presenter, Indonesia Toray Science Foundation 2010. Best research paper in the field of pharmaceutical technology, Indonesian Apotheker Association Congress, Indonesia 2010. Best poster in the field of pharmaceutical technology: “Development of curcumin nanocrystal and study on the anti-inflammatory effect in male Wistar rat”, 5th conference of Asian Association of School of Pharmacy, Bandung Indonesia, 16-19 June 2011. 2nd best poster in International Seminar on Natural Product Medicines, Bandung, Indonesia, November 2012. P00201300649 – Produk dan proses nanonisasi kurkumin untuk profil farmakokinetik dan efek farmakologi yang lebih sempurna.